Our Beautiful Blessings! 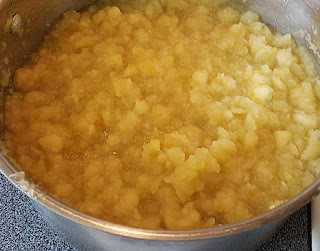 : Homemade Applesauce! A few weeks ago I watch some friends of ours kiddos for them. When Brandon dropped the kids off he gave me a bag of apples. Elaine was so funny because she actually put them in an Apple bag...like from The Apple Store. It was funny! 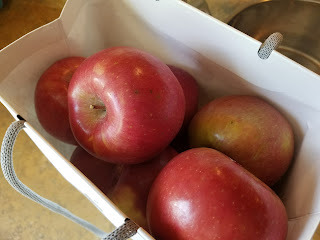 They are from Yakima and they got this box of apples that had literally been picked the day before they got them. Super fresh Fuji apples. 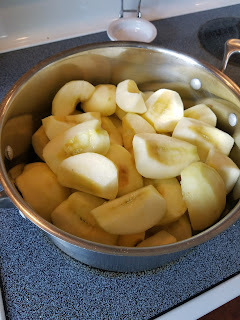 Once I saw they were Fuji apples I knew right away that I was going to make homemade apple sauce with them. A couples months back my mom found out that she has this condition that limits her to eating certain foods. The only apples she can have are Fuji, Jonagold and Pink Lady's. 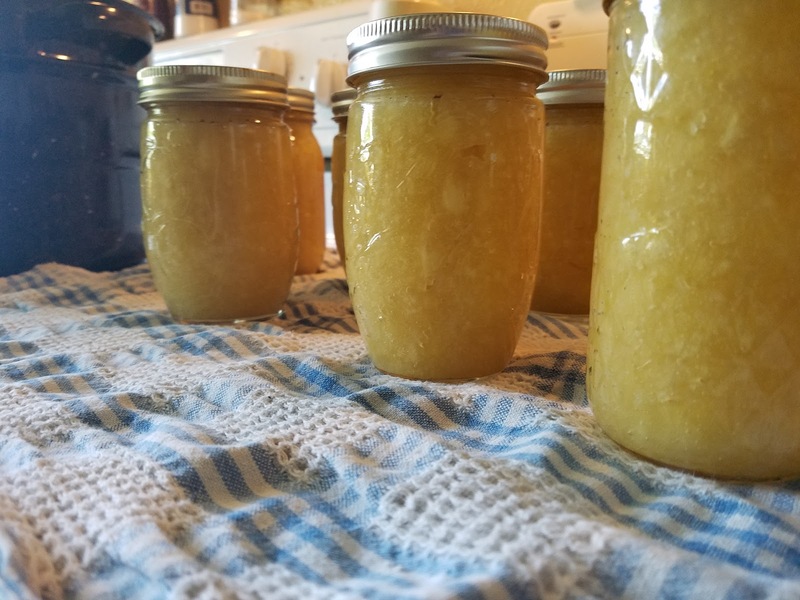 Unfortunately the apple sauce you buy from the store is made from a bunch of different apple varieties so she can't eat those. I'm actually surprised I've never made homemade applesauce before. 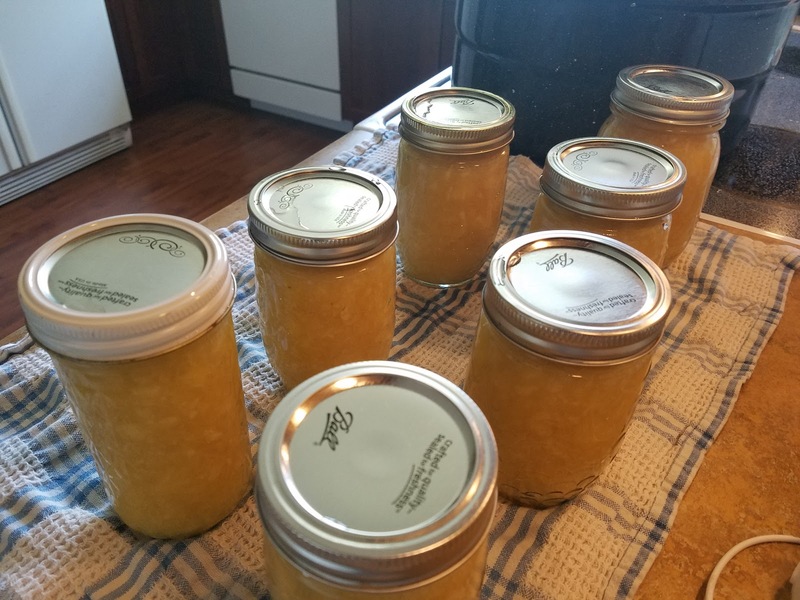 I might have when I was making baby food for the kids, but it wouldn't have been this much and it would have been pureed super smooth. 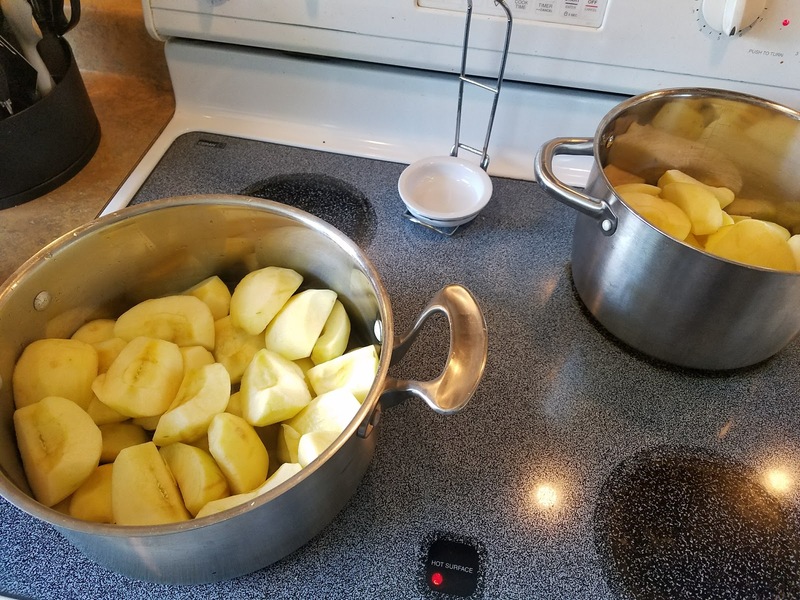 I ended up having enough apples that I had to split them between two pots. 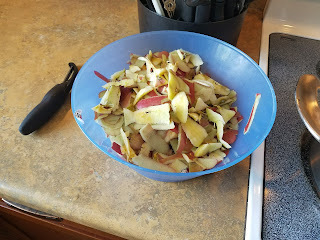 I don't own one of those nifty apple peeler, slicer, corer things....I know that I could have borrowed one from a friend, but sometimes I like to do tedious things like peel apples. I'm being serious by the way! I do like mindless work like that...it's kind of relaxing! I added a little water to the pot so the apples wouldn't scorch. 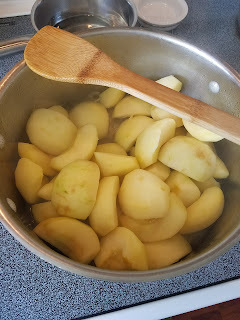 Then I cooked them down until I could start cutting them into smaller pieces with the wooden spoon. Once they were soft enough I used my potato masher to smash them up even more! I know my mom likes chunky applesauce, but I thought it looked a bit too chunky so I took about 1/3 of the applesauce and pureed it in the blender and then mixed it back in. After that I felt like it was the right consistency. I was hoping to get enough applesauce to fill 6 jars, but I ended up with 7...yahoo! After 20 minutes they were finished and I took them out. 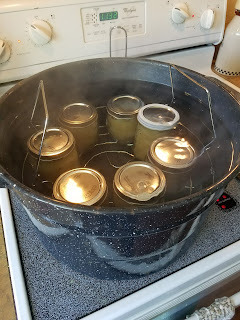 Almost right away 3 of the lids made the popping sound. That is music to a canner's ears!!! Just to note...I didn't add anything to these....no sugar, no cinnamon...nothing. I tasted a little from the pot after I canned them all and it was yummy! 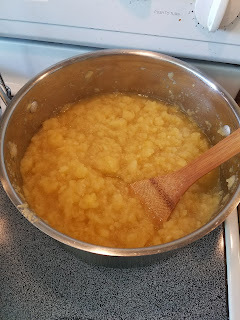 I'm not an applesauce fan either, so I'm excited for my mom to try it and see what she thinks!